According to research by Safe Kids Worldwide, more than 2.6 million children in the United State ages 19 and under are seen in emergency departments for injuries related to sports and recreation each year. Volleyball alone has over 34,000 athletes under the age of 19 who sustain major injuries. These injuries typically affect the ankles, knees and brain (concussion). Often, as an athlete or team becomes more competitive, their schedules become increasingly filled with drill after drill, workout after grueling workout, tournaments, matches, games and playoffs. It is a common occurrence for a coaching staff to become immersed in the progression of their team’s skillsets over and above the progression of their individual athletes’ physical abilities. As a head coach of a Division I high school varsity volleyball program and a head elite club coach, I come across more athletic injuries as each season progresses and athlete turnover becomes more of an issue. This concern is topic A among my coaching staff, as we attempt to find ways to alleviate and/or prevent these injuries. Years of coaching at high levels have convinced me that simple before- and after-practice stretching simply is not enough to keep up with the rapid increase in the number of major injuries to youth athletes today. After a large amount of research and working closely with a trainer friend from my gym, I decided to introduce modified team yoga classes once a week into our regular training. I brought in a team yoga instructor to run these sessions seven weeks ago, and since then I have witnessed a vast improvement in my athletes’ overall physical and mental health. One of the many benefits my players have experienced since the implementation of the team yoga program is increased flexibility. Since my elite players are so focused on volleyball and volleyball movements, they tend to overwork a specific set of muscles over a long period of time. This makes those muscles tighten and can hinder their performance or ability to react to what we call “out of system” movements. Thanks to the yoga moves and stretches specifically, my athletes’ muscles and joints have become more elastic and able to accommodate more sporadic movements. With the increase in flexibility also comes an increase in muscle performance. Have you ever experienced a cramp while running? Shortness of breath? Shin splints, or simple muscle fatigue? We all have. They aren’t necessarily signs of an out-of-shape body, but they could signify that you are “starving your muscles.” Just as we feed our bodies with healthy foods and protein, it’s even more important to “feed” our muscles with oxygen and blood flow. Yoga is the number one way to do this. Stretching your muscles while strengthening them with your own body weight opens them up, allowing oxygen-carrying blood cells to flow within the fibers. This adds significantly to an athlete’s ability to perform longer, decreases chances of cramping and prevents injuries. 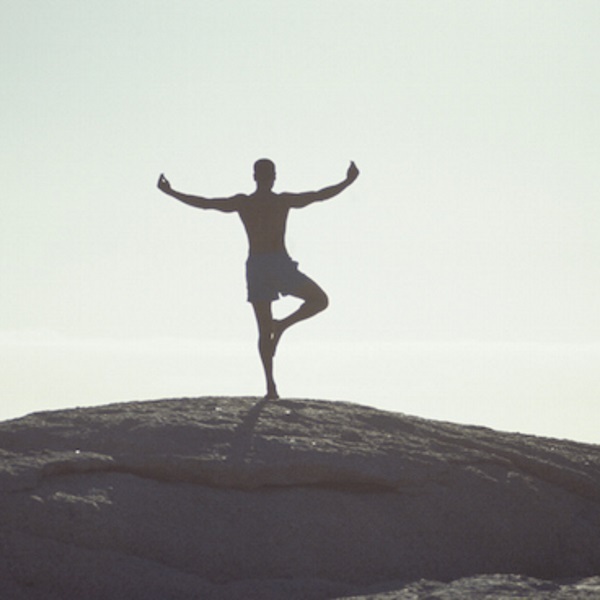 Another identified benefit of performing yoga, specifically as a team, is the mind-body connection. During our team yoga, we do not particularly target the meditation portion of the studied yogi; however, the end result is similar. Our yoga sessions started off a little silly as my athletes strained to learn the individual poses. There were some giggles from various players as they watched their teammates attempt to fully perform the positions, but eventually I noticed an audible hush come over them when they found the pose and held it. A quiet calm spread through the dozens of girls on the court as many of them closed their eyes and transformed into a relaxing, yet solid space. I instantly noticed an improvement of their “connection within” as the weeks went by and each player began mastering the various yoga poses. There were fewer fumbles, fewer giggles while mental rest and confidence increased. Volleyball is a sport where communication and connection among teammates is crucial. Although there are six players on the court at a time, the distance created by non-communication can make it seem like your nearest teammate is miles away. I have noticed a huge increase in the interaction of the girls on the court. Furthermore, I’ve noticed an increase in “ease” of communication. I believe this is directly related to the team yoga sessions, because learning to become one within yourself as an athlete opens up the possibility to better learn and process the physical things around you. If you are a coach or athlete who feels stuck on a plateau in your athletic life, I heartily recommend adding yoga, either on an individual or team level. Yoga is a proven method of strengthening the body, muscles, joints, flexibility, blood flow, balance, posture, and most of all, mind and athletic spirit.